Sometimes an exhibitor wants to send you payment that falls outside of the standard electronic payment process. This may be a check or even cash. It could also be in the form of a credit that you promised a vendor. How do you track this in RegisterONE? 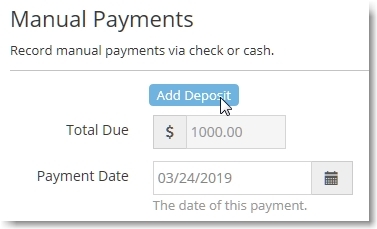 Manual payments can be entered and tracked just like any other payment from the Application Profile screen using the Manual Payments function. Generally you use Manual Payments to process a check for FULL payment for cart items. 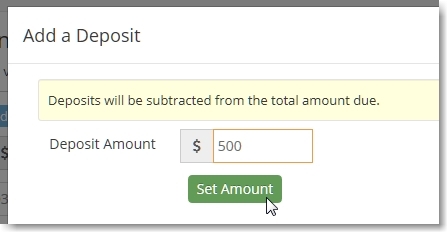 If you want to track a deposit, you change the FULL amount to a PARTIAL amount. 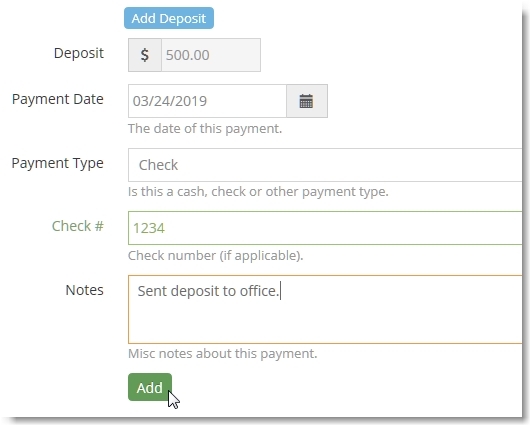 This will change the payment type to a “deposit” and is tracked as such accounting wise. You can add a Manual Deposit for an applicant profile at any time, even if the cart is empty. This is an example of a cart item for $1000 for demonstration purposes. This example is with a $1000 booth to keep it simple. From the Applicant Profile screen, click on Manual Payment. This is the view from the Applicant Profile and mirrors what the applicant cart page displays. Click on Add Deposit to change the payment from a Payment to a Deposit. You’ll see the total amount due. Enter the deposit amount you received from the exhibitor and click Set Amount. The amount type will change to a Deposit. This is handled just like a regular application deposit and is subtracted from the amount due when final payment is made. You can then record the deposit amount. This is the full Manual Deposit entry screen. You can make reference notes about the payment as you save it. The application cart page shows the total deposit amount received and applied to the total amount due. The cart page shows the total deposit amount received and applied to the total amount due. How a Deposit is handled when extra fees are applied at checkout. RegisterONE allows you to add credit card gateway fees and others to the cart as line-items. You can also embed them into your base prices automatically. When you do, these are scenarios to be aware of as a Manual Deposit is applied to the total due. 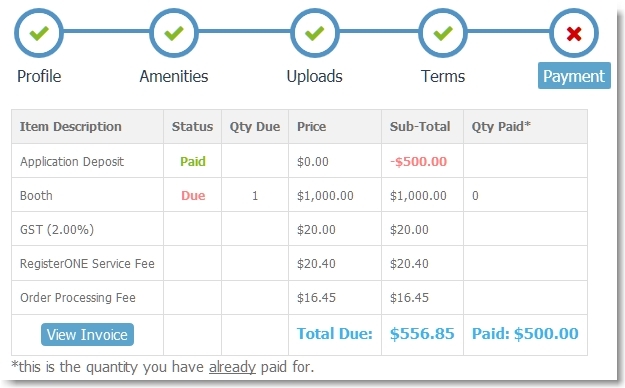 This example shows the service fees added as line-items. 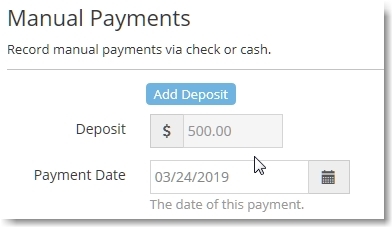 Notice that all the fee line-items are based on the TOTAL due of $1000 with the exception of the Order Process Fee that is now based on $500, not $1000. This is because you would not pay a credit card processing fee if the payment was received and processed manually by you. This shows fees added as line-items. In contrast, this shows service fees embedded into the base price automatically. 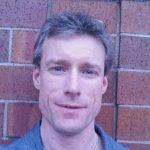 When you have fees embedded into your pricing and apply a Manual Deposit, the service fees are based on the TOTAL base price of $1000. In this case the Total Due is $1,072.00 ($1,000 base fee + $72.00 service fees). When the $500 deposit is subtracted, the Total Due will be $572.00. This shows service fees embedded into the base price. Side Note: Why is this total $572.00, not $556.85? Because the Order Processing Fee (ie. credit card gateway fees) can NOT be split and is based on $1000, not $500. There are technical reasons for this, but just understand that credit card processing fees must be based on the total transaction, including the deposit. You may accept this over-payment (in your favor) as covering your time handling and processing manual payments.